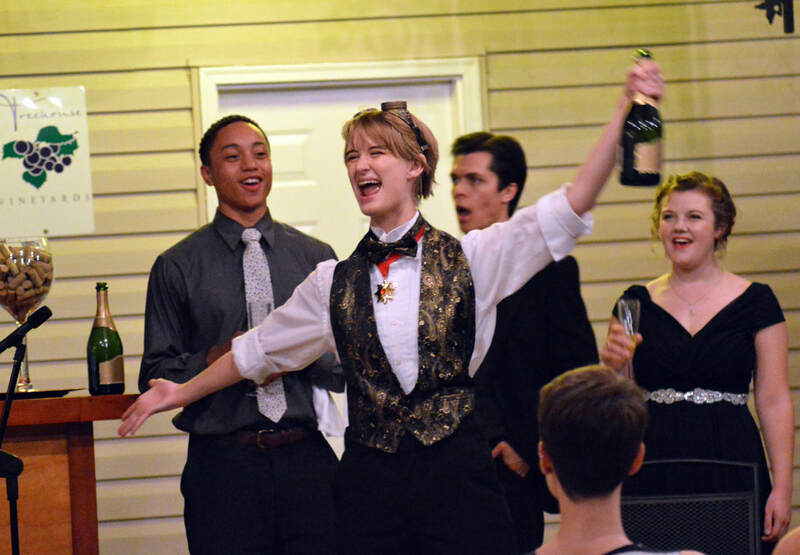 The Little Opera Company (LOCO) is a seasonal performing arts group based in Charlotte, NC, that presents offbeat productions of classic operas. Founded on the belief that opera is for everyone, LOCO combines energetic acting and fine singing with creatively reimagined productions to make opera enjoyable for all. LOCO specializes in light opera and operetta, including Gilbert and Sullivan comedy, Mozart, Strauss, and classic children's fairy tales. Visit LOCO to experience and explore the wonder of opera in intimate, approachable settings. 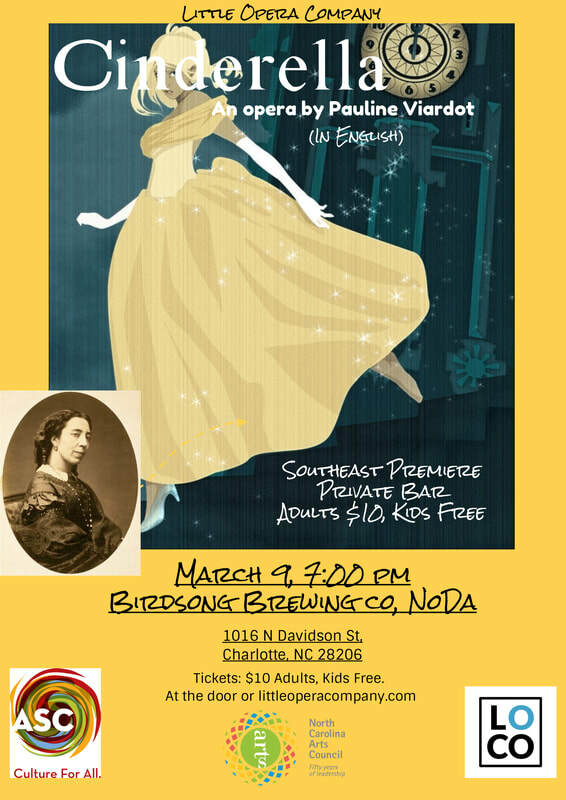 Join us for the Southeast premiere of Viardot’s Cinderella! 1900s by Spanish soprano and composer Pauline Garcia Viardot. (who like to switch places now and then.) Sung in English. Children enjoy free admission and are encouraged to attend! Performing at Birdsong Brewing Co in the event room. Take advantage of the private bar and sip your favorite Birdsong concoction during the show! LOCO presents the Fall 2018 Young Voice Opera Ensemble! We are partnering with Reedy Creek Community School this fall to offer a 10 week opera program for ages 7 and up. Volunteer artists from the Little Opera Company will work with students to prepare a shortened performance of the opera "Hansel and Gretel" in English. 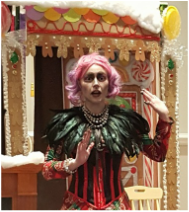 Students will learn solo and group songs, the basics of stage movement, some opera history, foundations of vocal technique, and will help with set construction as we build our own cardboard gingerbread house! At the end of the program we will perform our opera for the parents and the community. ​ Puccini’s classic opera “La Boheme” with a fresh FRIENDS parody twist! 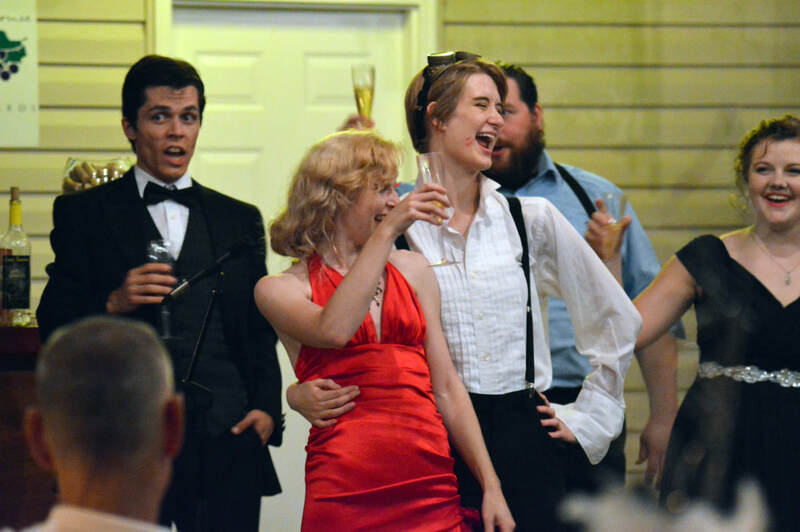 The opera follows the merry misadventures of six twenty-somethings in 1990s Manhattan. Both comic and poignant scenes revolve around an endearingly garish couch in this modern take. Sung in the original Italian with a hilarious updated English translation by the Little Opera Company, “La Boheme: The One Where Mimi Dies” is a treat for any FRIENDS fan or Puccini lover! ​In America, we have the Nutcracker ballet as a Christmas tradition. But in Germany during Christmastime, you're more likely to see the German opera Hansel and Gretel on stage. This opera by Engelbert Humperdinck has a long Christmas tradition and its own set of musical hits, like the Gingerbread Waltz and the Witches' Ride. When your family is done making their gingerbread house, come visit ours this holiday season! ​ Musical comedy meets cosplay in this hilarious trip to the town of Titipu, where flirting is a capital offense and princes come disguised as ocarina players. 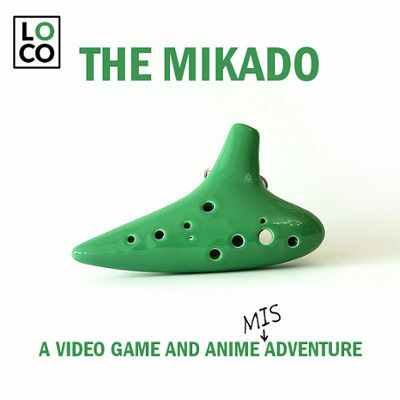 Our take on this Gilbert and Sullivan classic is an homage to the world of anime and video games, following everyone's favorite characters as they stumble from one misadventure to another. This show is kid-friendly, family-friendly, and nerd-friendly.